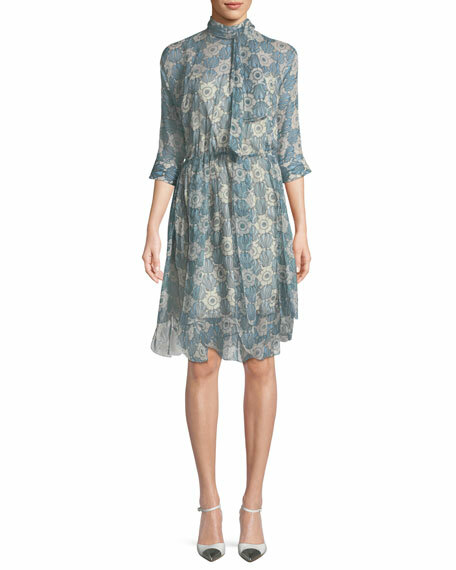 Prada floral-print silk chiffon dress. For in-store inquiries, use sku #2425489. 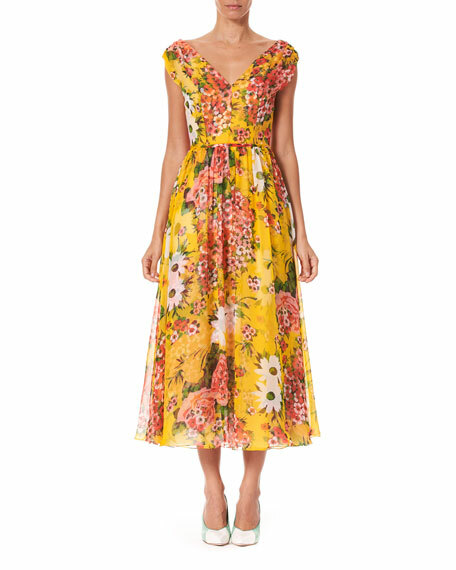 Carolina Herrera midi dress in floaty, floral-print silk. V neckline and back; self-tie back. Cap sleeves sit slightly off the shoulder. Nipped waist. Pleated A-line sweep. Back zip. Silk shell and lining. Made in USA of imported material. 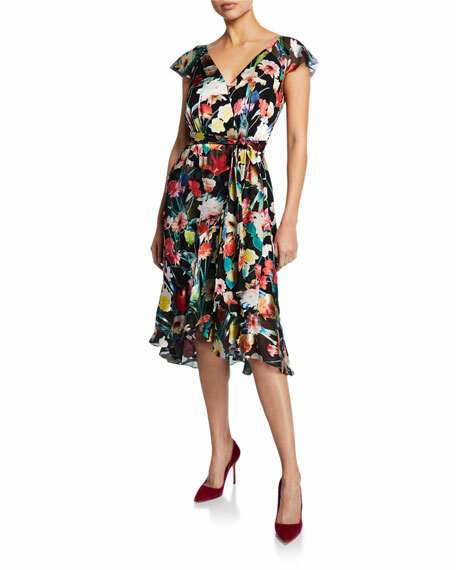 Elie Tahari "Ryder" floral-print dress. V-neckline. Cap sleeves. Self-tie sash at waist. A-line silhouette. 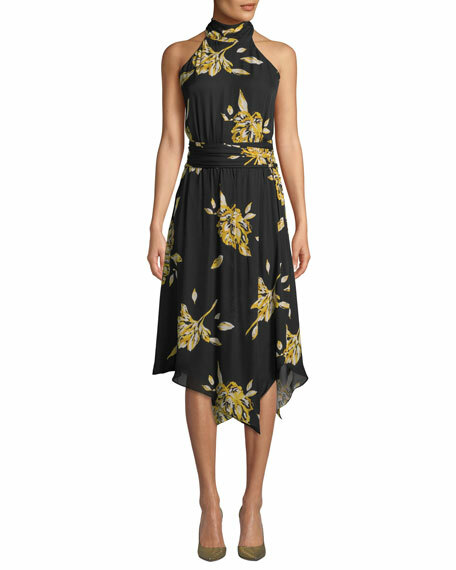 Arched flounce hem. Hidden back zip. Viscose/silk. Polyester/spandex lining. Dry clean. Imported.